Dozens of admirers of what's new and what's next gathered for an intimate discussion at the Venture Capital Conference in The Roxy, New York on April 4. The 12th annual Venture Capital Conference, convened by The Media Kitchen, focused on how consumers discover brands in a data-driven world. Experts highlighted emerging online and offline trends, including presence, location, messaging, voice, and personalization. "Early-stage startups can’t rely on online ads," said angel investor Sapna Shah of Red Giraffe Advisors, noting how proliferating competition has escalated online acquisition costs. Even before raising money, new brands are planting physical seeds to gain visibility and glean consumer insights. Real-world experiences range from consignment and wholesale to pop-ups, events and physical stores. "The world is really shifting that way," she said. "There’s serendipity in retail." Stantt, a Red Giraffe portfolio company, started its shirt customization business online, but moved into wholesale to find its customers. Stantt Co-CEO Matt Hornbuckle said men still buy their clothes in stores, especially those that have different fit preferences and like to try on and feel the fabric. Its 99 sizes are custom manufactured and delivered in seven days to more than 300 stores nationwide. The next generation of location-based data yields actionable "signals of truth" that extend beyond generalization into a meaningful visceral context, said Jeff White, founder and CEO of Gravy Analytics. His company tracks events ranging from stadium-sized concerts to intimate book clubs. While it may be valuable to know that someone likes wine, he explained, knowing they went with four friends to visit a sommelier adds "magical" insight for messaging. "You’re fusing with how customers lead their daily lives," he said. "When I ask, ‘what’s your digital presence,’ I always get a blank answer," said Bobby Figueroa, founder and CEO of Gradient.io, an e-commerce platform that uses machine learning. The former Amazon executive said that digital shelf space is massive – think of it as 26 stories that extend from New York to San Francisco. "If you want to make sales, you have to be there," he said. "Go where your customers are," recommended Hussein Fazal, whose company SnapTravel arranges travel bookings via a messaging app. "People don’t want to download apps anymore, they just want to talk to their friends," he said. "If you can chat with friends, you should be able to chat with brands." "We’re super bullish on audio and voice," said longtime ad-tech industry guru Eric Franchi, who is now a partner at MathCapital. Already, a third of searches from mobile are made by voice, and Franchi thinks it’s the next generation of marketing. Companies like Blutag are creating a way to simplify the process. "Building for voice requires a completely different set of skills," says Blutag cofounder and CEO Shilp Agarwal. "Retail is at a tipping point right now. Shopping used to be a delightful experience. Voice can bring back that delight." 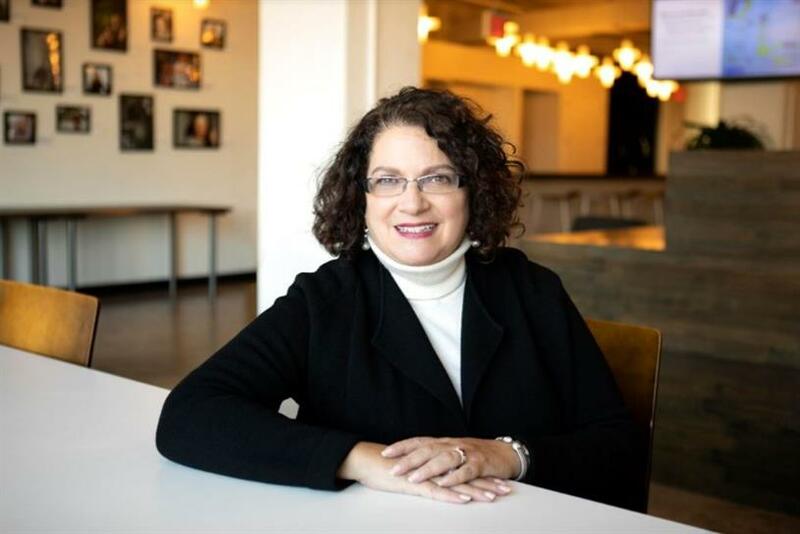 Bonnie Barest is managing director at The Media Kitchen.